website design for Juile's Deli in Texarcana. Proposed concept to Juile’s Deli in Texarcana. These clients are some of the nicest people you’ll ever encounter and makes me wish I could physically stop by their café. The design process started by researching their local competition, designing a super-simple and classy logo (designed by the talented Cori Jones) then progressed into developing various website concepts. 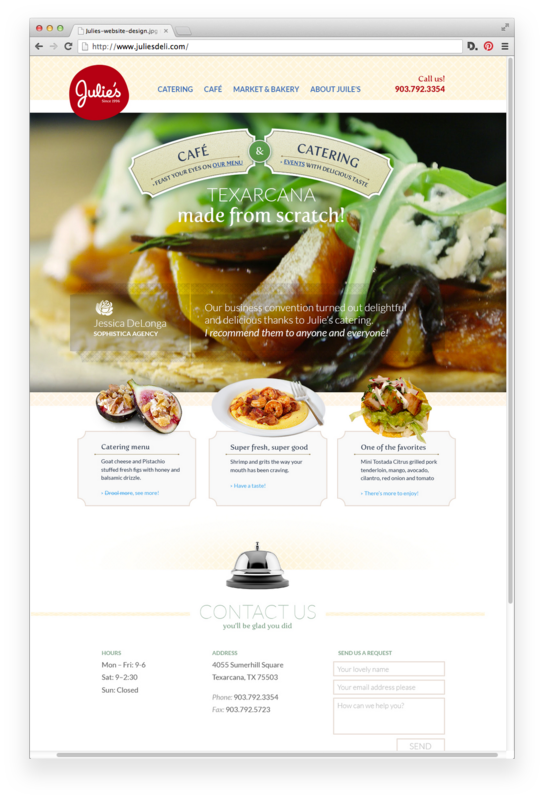 website design for Juile’s Deli in Texarcana.